Check Out Our New Deck Guide! In case you missed it, last week DCRA launched its new Deck Guide. This guide takes you through the step-by-step process of designing your deck, obtaining a building permit, and passing inspections. If all required documents are submitted and requirements have been met, you can obtain your permit within 1 business day from our Permit Center. Get building today. 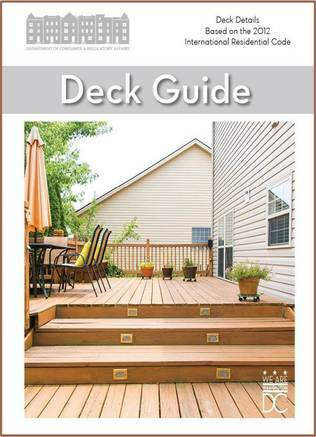 Download your free guide here: dcra.dc.gov/deckguide.